Perfect timing is a luxury rarely afforded to those tackling new roles. Nancy Gardner knows this all too well. The chief legal officer for S&P Global Ratings, a division of S&P Global Inc., was exactly one month into her new position when the company committed to building a credit-rating agency in China—a previously unthinkable proposition. The application deadline: July 31, 2018. It was June. “We had to move fast,” Gardner says. If the company could get the application approved, it would mark the first time in history that the notoriously closed-off Chinese market would allow a wholly owned foreign credit rating agency to grade domestic bonds. It would be a prime position for S&P Global in the third-largest bond market in the world. Through speed, efficiency, and pure effort, S&P Global Ratings became the first foreign entity approved for operations in China in January 2019. Neither of S&P’s chief competitors, Moody’s Investors Service or Fitch Ratings, had received approval at press time, and Gardner, a veteran of providing legal services on a global scale, has found her first big win at the world’s most recognizable name in ratings agencies. 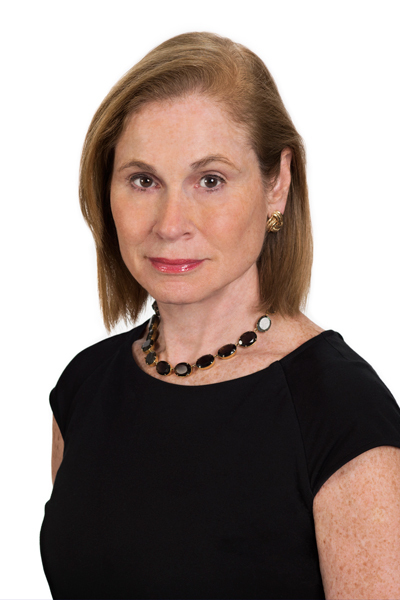 Gardner was introduced to international capital market transactions relatively early in her law career, at New York firm Weil, Gotshal & Manges. One of her first assignments was working on Reuters’s IPO, the first-ever simultaneous combined UK/US underwritten public offering. While only a junior associate at the time, Gardner says the experience was impactful. “I really learned through osmosis how to harmonize inconsistent rules and regulations through negotiation with regulators and the various market participants,” Gardner says. The early international education became Gardner’s calling card. “I wound up doing a number of deals bringing non-US companies into the US public market,” she says. She developed a reputation as a lawyer well versed in the complicated rules such deals entailed. When Reuters was acquired by the Thomson Corporation in 2008, New York suddenly became the headquarters, and Gardner had a firmer grip on the wheel. Her previous experience had provided an important lesson on consideration for all stakeholders in a scenario. “I saw some cultural insensitivity, and it wasn’t intentional; I was especially aware of it because I had been on the receiving end,” Gardner says. Gardner’s next global experience, at London-based SLx Technology, in a general counsel capacity, entailed developing frameworks for customer agreements and compliance support that, due to the startup’s lean staff, needed to work in all jurisdictions. “If that meant doing more than was necessary in one jurisdiction, that was fine, as long we only had to do it once,” Gardner says. Navigating the legal landscape of a global business presents many complexities. “Laws tend to be national or regional and are sometimes not globally consistent,” Gardner says. Even a single matter, such as rules for disclosure, can vary widely from country to country or region to region. Add to the mix more than twenty separate regulators for S&P Global Ratings (with the number to increase with the impending Brexit separation), and it’s easy to see how quickly issues can arise. And now there’s China to consider, too. But, the landmark effort to help better regulate the Chinese bond market wouldn’t have happened at all had S&P not been able to turn around its application in July 2018. Gardner didn’t even know the lawyer covering the Asia Pacific region at the time, as she had just entered her position. “I said, ‘We really need to light a fire here in order to meet this deadline,’ because I thought that legal could really help drive that process,” Gardner says. Clifford Chance is honored to partner with Nancy Gardner and S&P Global. We congratulate Nancy for this well-deserved recognition of her vision and global leadership.